#BlameEricsson, the wing man, tripping major nutsack… it all comes down to this. We will turn the page on the 2018 Formula 1 season at the Abu Dhabi Grand Prix, with Lewis Hamilton and Mercedes riding high after securing yet another double in the V6 Hybrid era. The Silver Arrows have already wrapped up all the marbles, but we have plenty to race for at Yas Marina. Ferrari and Red Bull will want one last hurrah, it's Valtteri Bottas' last chance to win in 2018, Daniel Ricciardo, Fernando Alonso and others are looking to bow out from their teams on a high. Saturday's qualifying session starts at 17:00 local time (13:00 GMT, 08:00 ET), following on from the third practice session, which starts at 14:00 local time (10:00 GMT, 05:00 ET). HOW CAN I WATCH THE ABU DHABI GRAND PRIX IN THE UK? 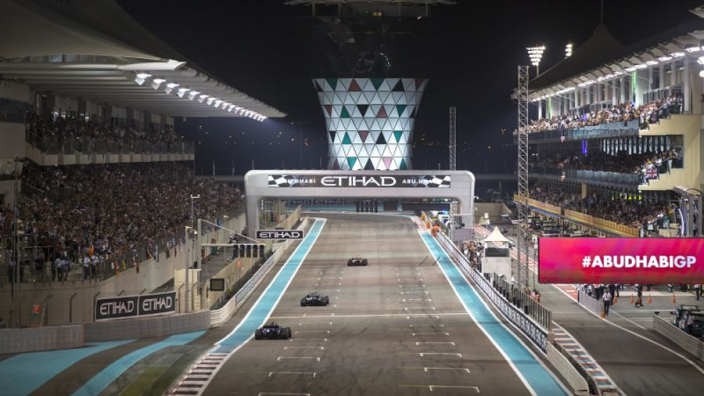 Every session of the Abu Dhabi Grand Prix will be shown live on Sky Sports' dedicated F1 channel. Customers who subscribe to Sky Sports F1 can also watch all the action on the move thanks to the Sky Go app. Alternatively, you can purchase a Now TV pass to watch all of Sky Sports' coverage on your smart TV, mobile device, tablet or computer. IS THE ABU DHABI GRAND PRIX ON CHANNEL 4? If you can't afford to fork out for the live action, fear not, the full weekend will be shown on free-to-air Channel 4. The action from Yas Marina is the last of the 10 races that C4 will air, in full, for free in 2018. HOW CAN I WATCH THE ABU DHABI GRAND PRIX IN THE USA? ESPN will carry live coverage of every session from Abu Dhabi to subscribing fans Stateside. HOW CAN I WATCH THE ABU DHABI GRAND PRIX IN AUSTRALIA? Every session is shown live on subscription service Fox Sports. The coverage is pulled in from Sky Sports in the UK. Free-to-air Network Ten have live-coverage rights for the Australian Grand Prix only, showing highlights for the 20 other events in 2018. Foxtel has launched streaming service Kayo, which offers fans the chance to keep up with F1, AFL and more on the move. HOW CAN I WATCH THE ABU DHABI GRAND PRIX IN CANADA? Check F1's official website to see if F1 TV Pro is available in your location. You will need to pay a fee to subscribe, either for this race or for the whole year. Lewis Hamilton secured a record lap time at Yas Marina in qualifying on Saturday as Mercedes locked out the front row with a one-two, with Valtteri Bottas beginning in P2.